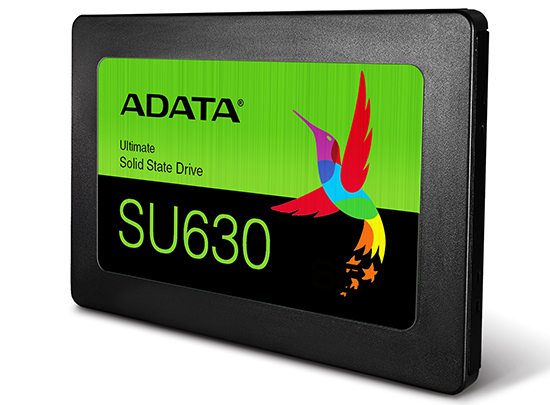 Delivering excellent performance without the less than great value typically associated with SSDs, the SU630 gives HDDs a run for their money. It comes in 240GB, 480GB, and 960GB capacities and sports 3D QLC NAND Flash to deliver improved reliability, longevity, and performance over its TLC counterparts. Reinforced by performance-boosting SLC Caching, the SU630 reaches speeds of 520MB/s read, and 450MB/s write for smooth and fast boot, file transfers, and downloads. What’s more, the SSD also features characteristics that work to keep data safe, including a shock rating of 1500G/0.5ms and resilience to temperature changes (0°C ~ 70°C), while also being more energy-efficient and quieter than HDDs.